Do you get this feeling inside your bones, that goes electric, wavey when you turn it on? Our advice, just dance, dance, dance, because you Can’t Stop the Feeling! 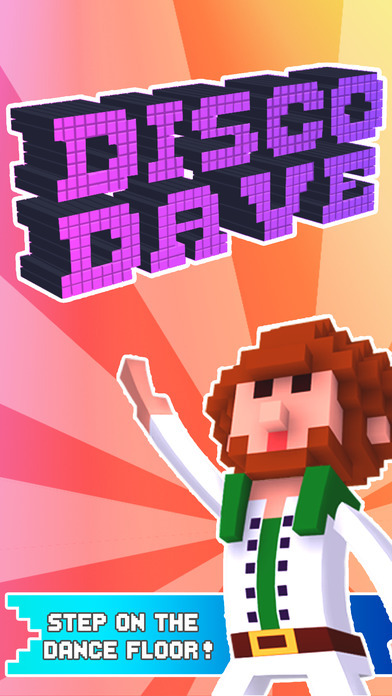 Disco Dave is a game about dancing, and yes, it is playable in one hand! 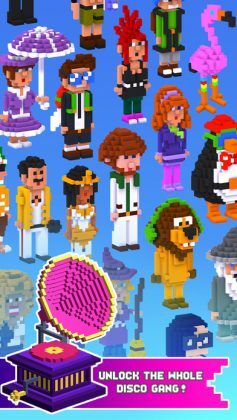 For those times when you just want to dance but would officially look like an idiot if you did, this game may just be what you’ve always wanted. The game is played using simple swipe gestures in order to bounce your player around the dance floor and score points. Set on a relatively small 3 by 3 dance floor, you will be required to bounce only on illuminated blocks or else Game Over. 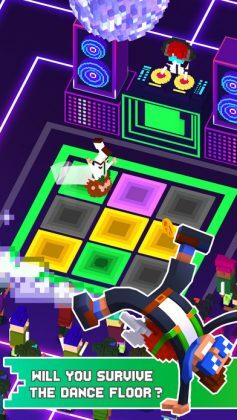 Now, just dancing is obviously going to be way too easy for experienced dancers, so for players who know what they’re doing, you can also accumulate massive scores by completing combos (i.e. 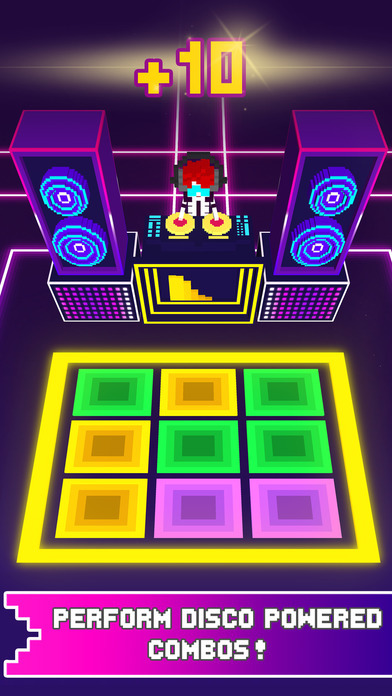 bouncing on specifically colored squares) easily increasing your score by 10 or more times! Depending on how good you are. 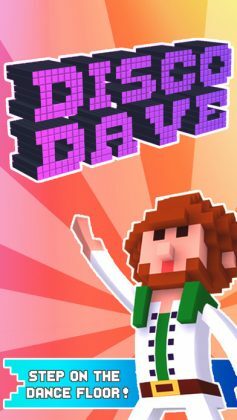 If you happen to be a dancer who also cares about the graphical quality of your games, there is nothing to fear when playing Disco Dave! With awesome 3D pixel graphics (a little like Crossy Road) this game looks just as good as it feels to play! Do you need a dancer game for your smartphone? 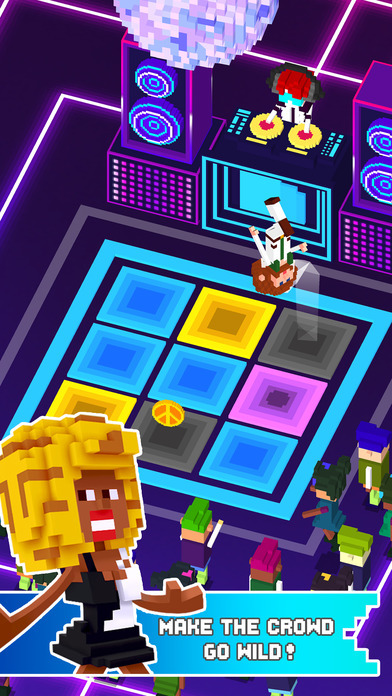 Disco Dave is a cute little arcade style dancer game that is both simple and easy to play. The perfect mobile dancer companion!